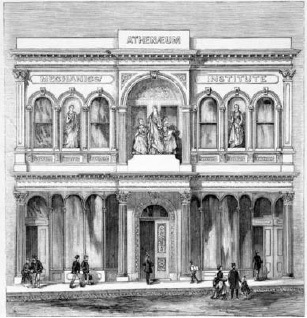 The Dunedin Athenaeum & Mechanics’ Institute moved to its present site in the Octagon, Dunedin, in 1870. 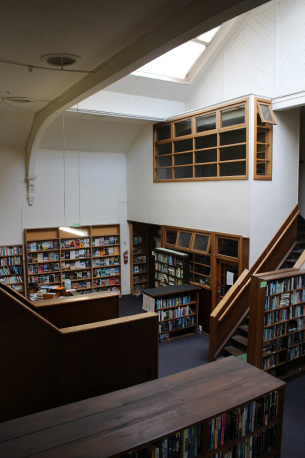 It is the oldest surviving main centre Athenaeum in New Zealand still used for its original purpose. 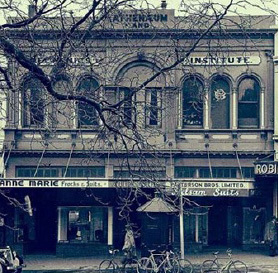 Last year the Dunedin Athenaeum and Mechanics’ Institute was privileged to have respected broadcaster, historian and writer Jim Sullivan write a history of the library’s sometimes turbulent past. Jim has been successful in teasing out the human side of the story as strong personalities throughout the years have shaped the development of the library. The book Reading Matters is available for $50 at the Athenaeum Library 23 The Octagon; Paper Plus in the Golden Centre, George Street, Dunedin and The University Book Shop, 378 Great King Street, Dunedin. Here are some extracts from Reading Matters by Jim Sullivan.